Bajaj Allianz, formed as a joint venture partnership between Bajaj Finserv Ltd. and Allianz SE, was established in the year 2001. The insurer offers a range of life insurance products, such as unit-linked insurance plans (ULIPs), savings-oriented plans, retirement/annuity plans, child insurance plans, investment-oriented policies, term insurance plans, group insurance, and micro insurance plans, in an effort to cater to the varied needs of their clients. Users can also contact the insurer on (+91 020) 66026777 (standard STD charges will apply when using this number). For new purchase enquiries, customers can give a missed call on 8080570000. A company representative will call you to take the process forward. Users can also fax their queries to (+91 020) 66026789. Customers can also contact the insurer via SMS by typing the designated keyword, as mentioned in the insurer’s official website, and sending it to 9225850101. The insurer also has a live chat feature called BOING on their official website. Thus, customers can key-in the required details and receive virtual assistance through this platform in a hassle-free manner. Life Assist - Customer Portal: Customers can log into the customer portal on the insurer’s website to track their claims, track applications, check the performance of funds, etc. Click to Call: Customers can also make use of the call back service on the insurer’s website. To receive a call back, customers need to navigate to the respective web page on the insurer’s website and key-in certain details such as their name, mobile number, policy number (if applicable), etc. Application Tracker: Customers can also track the status of their policy applications by visiting the insurer’s official website, navigating to the ‘Application Tracker’ web page, and keying-in their application number, proposal number, and date of birth. Customers can also choose to walk into the nearest branch of the insurance provider between 9:00 a.m. and 3:30 p.m. on weekdays and 9:00 a.m. and 12:00 p.m. on Saturdays. The insurer also has a branch locator feature on the website. Customers can, thus, select the state and the district of their choice and view all branches in that particular district. The insurer can be contacted on cyber.cell@bajajallianz.co.in in case one finds any fraudulent or unauthorised information/material online. 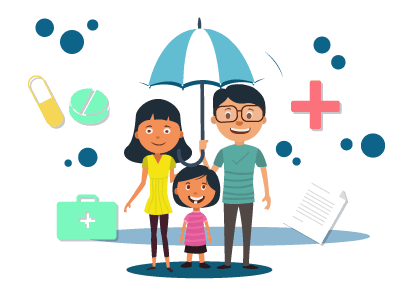 The customer care channels that are offered by the insurer can be used by new users, existing customers, or NRIs for any assistance that they might require.